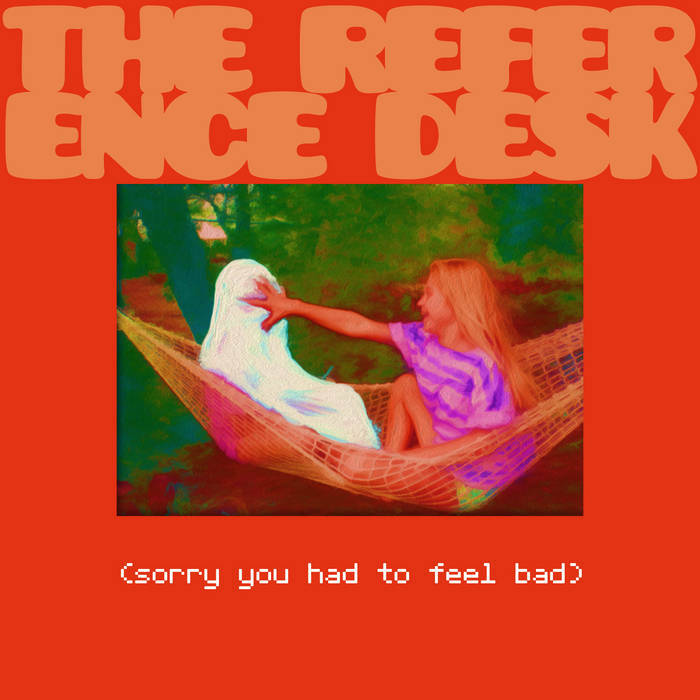 Halifax trio The Reference Desk recorded the tracks that make up their newest EP (Sorry You Had To Feel Bad) back in 2015, but filed them away until releasing them last march. Put a hold on what you’re doing and check them out. First track “Leo” is getaway music, setting a scene of a mother and children escaping a bad situation. The tensely churning guitar riffs mirror the lyric’s quiet desperation, and the song ends bitter-sweetly, with the brothers fighting in the backseat. “Tired Of Right” has the EP’s most memorable vocal melody, which is used in the service of a takedown of some bore who doesn’t know when to shut up. “When you state your case about things you cannot stand, I’d rather be at home listening to my favourite band.” One of those favourite bands has to be Sleater-Kinney, whose snotty punk edge this track recalls. “What You Believe” is a gentler song, a river gradually carving its way into your mind and carrying you out to sea. It’s the yin to the yang of EP closer “The Sea”, an epic ode to the inexorable destructive power of the ocean. Fans of lean and thoughtful rock and roll should take this music home, now that it’s not just reference only.